Entrepreneurship is a great way to teach kids valuable money skills like budgeting, saving and earning. And it’s never too early to start. If they can count – they’re ready. 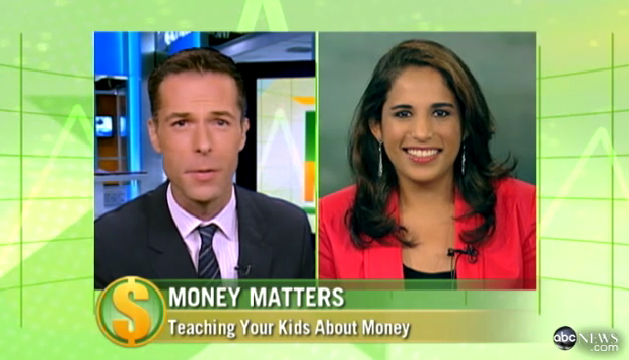 Catch my latest interview with ABC News on how to use a kid friendly small business to teach kids money skills for a lifetime. I know you would like to promote the idea of kids starting their own business but you should also consider that there are many cities throughout the US that do not allow children to earn money without having a business permit and a tax id number. You see “they” are cracking down on this sorta stuff. We can’t have kids out here making lemonade because the law does not know what is in that lemonade, not to mention they are pulling in 50 cents a cup. Here are a couple of youtube links to explain what I am talking about. I mean come on. This is outrageous.